It’s impossible to put into words the impact that David Bowie’s music has had on me throughout the years, but there probably isn’t another living music artist who I admire more. I started listening to Bowie’s music when I was just 12 years old and one of my earliest concert memories is of seeing Bowie’s 1983 Serious Moonlight Tour at the Oakland Coliseum. Around the same time I also saw David Bowie star in Nicolas Roeg’s groundbreaking science fiction film The Man Who Fell to Earth (1976) when it played on a double bill with Performance. Over the years my admiration for Bowie’s acting abilities as well as his recording career has only grown. 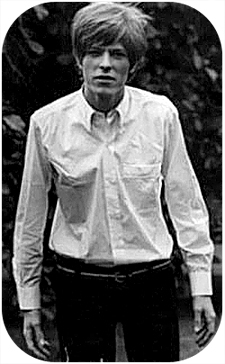 David Bowie’s first acting role was in an eerie and surrealistic silent horror short called The Image (1967) directed by British filmmaker and writer Michael Armstrong. Armstrong’s directing credits include the Tigon horror anthology The Haunted House of Horror (1969) as well as the effective and memorable Mark of the Devil (1970), which tells the story of two 17th century witch hunters (Udo Kier and Herbert Lom) and was obviously inspired by the 1968 Tigon film The Witchfinder General. Armstrong is also responsible for writing the script for Pete Walker’s horror comedy House Of The Long Shadows and co-writing Tobe Hooper’s Lifeforce with Dan O’Bannon. This list of Michael Armstrong’s credits may not seem all that impressive to your average film viewer, but it should spark the interest of some horror fans. The Image was Michael Armstrong’s first film and along with David Bowie, it also stars the hard working actor Michael Byrne in one of his earliest roles. Byrne appeared in the excellent horror film Vampyres (1974) and had minor roles in many popular war based dramas and action films made during the seventies including Conduct Unbecoming (1975), The Eagle Has Landed (1976), A Bridge Too Far (1977) and Telefon (1977). Today he’s probably mostly known for his appearences in popular modern films such as Braveheart (1995), Gangs of New York (2002) and Indiana Jones and the Last Crusade (1989). In The Image Michael Byrne plays a troubled artist haunted by a ghostly young man who appears to step right out of one of his paintings. David Bowie plays the mysterious apparition who is haunting the artist and his unusual good looks and other-worldly appearance are used to great effect here. Bowie was just 20-years-old when he made his acting debut, but he had studied with the avant-garde performance artist and actor Lindsay Kemp who included elements of Mime and Butoh into his teaching. Bowie obviously made use of the skills he developed studying under Kemp for his role in The Image and his wordless performance as an unrelenting spectre is undoubtedly the most memorable element of this short film. But The Image also contains an interesting minimalist soundtrack and some nice looking black and white photography from Ousama Rawi. The Image was shot in just three days and completed in 1967, but it didn’t have its official screen debut until 1969. Due to the violent content of the film it became one of the first shorts to receive an ‘X’ certificate from Britain’s notoriously restrictive film rating’s board. The Image seemed to disappear into obscurity after its limited release, but in recent years it has been rediscovered and restored. This brief 14 minute film is currently available on YouTube and makes for some great Halloween viewing. The Image (1967) Part I. The Image (1967) Part II. If you’d like to learn more about the making of The Image I recommend visiting Michael Armstrong’s official website where you’ll find images from the film as well as the original script that you can download and read for free. What a sweet Halloween treat, Kimberly! Thank you! Androgyny has certainly never seemed more threatening and, yeah, I would definitely say there’s a strain of internalized homophobia lending to these horrific events. I’m glad you enjoyed the film Maya! It’s a strange little film and it does seem as if the artist is having trouble dealing with his feelings about the “ghost” apparently haunting him. And that last of the photo shot is very telling! Hey Kimberly. Great write-up. I’ve never seen this, but it sounds fabulous. I’ve been a huge fan of David Bowie since I can remember. He’s definitely one of those artists that I admire the most. I love his music and films. I think he’s amazing. I’m sure even at a young age he was wonderful here. It sounds like a fascinating project. This is wonderful! Thank you for bringing this to the public (and mine private) eye! David Bowie is my greatest idol. It’s sort of a shame that Bowie as an actor didn’t quite live up to his potential. Making a movie has been quite often a tedious process in his experience.I am not sure he ranks among the great ‘actors’ around, but his screen charisma is magnetic. Did you know that in the eighties there were rumours he was going to be the next James Bond (the first blonde Bond!) after Roger Moore’s retirement?! I am sure you also like ‘Merry Christmas mr Lawrence’. Thats my favorite Bowie film. Keith – Thanks! I hope you get a a chance to view the movie soon. Eelko – I’m glad you enjoyed it! I think Bowie’s a great actor but the movies didn’t live up to his potential. He should have been offered more roles that made use of his talents. I like him best when he plays unusual or mysterious characters such as an alien in The Man Who Fell to Earth, the goblin king in Labyrinth or a vampire in The Hunger. The Hunger is probably my own favorite Bowie film but The Man Who Fell to Earth is close behind. Merry Christmas Mr. Lawrence is also terrific though and the role really shows what a versatile actor he was. I recently saw him in the underrated 2006 film The Prestige playing Nikola Tesla and I was surprised at how good the movie was and Bowie’s performance was really memorable in it. This sounds great. I know my computer stutters along where youtube is concerned, but I really need to give this a whirl tomorrow. 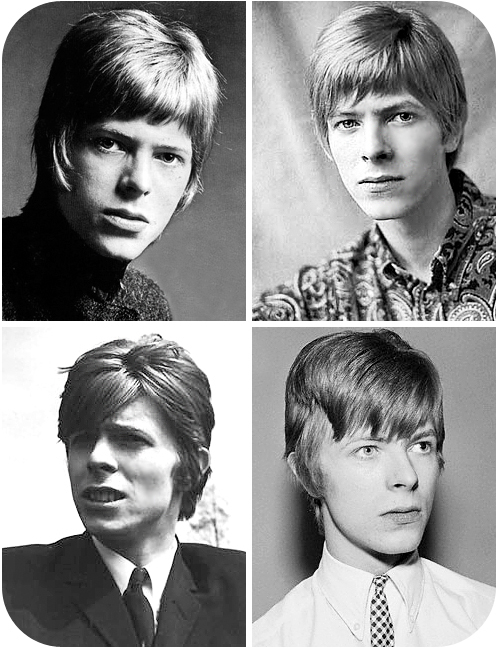 I’m a big Bowie fan, and was knocked out by his performance in The Man Who Fell To Earth as the alleged alien being. Loved him in Merry Christmas too; a film that never fails to bring a tear to my eye.Thanks for drawing our attention to this vid. Off now to listen to Sationtostation. Steve – I hope you get to chance to see it. It’s an interesting film if you’re a Bowie fan and I think you’d enjoy it.